Home Back & Spine What is Ankylosing Spondylitis? Ankylosing spondylitis is likely a term that you haven’t heard before unless you’ve been diagnosed with the condition. It’s a condition that affects roughly 1 in 20 adults. 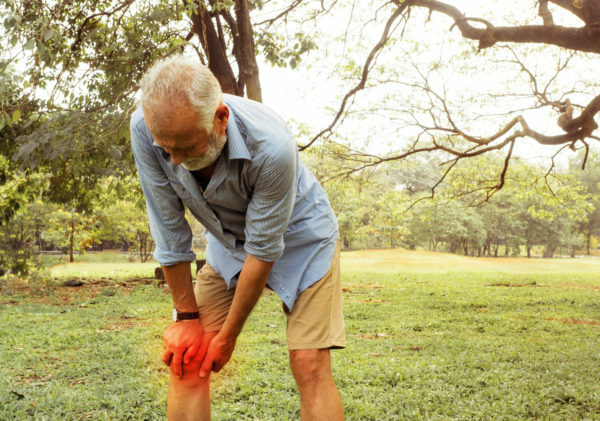 There are a wide variety of common symptoms that may be mistaken for signs of other conditions and preventing you from receiving the proper care that you need. But what is Ankylosing spondylitis? This short guide will explore that as well as what triggers it and the best treatment options for this condition. 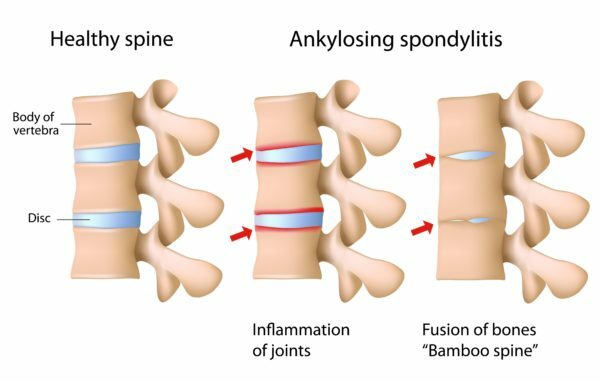 What exactly is Ankylosing spondylitis? Ankylosing spondylitis is a type of arthritis that typically affects the back and spine. Ankylosis refers to an abnormal loss of mobility and stiffening of the joints as a result of bones fusing together. Spondylitis is the inflammation of the joints of the spine and backbone. People with Ankylosing spondylitis suffer from joints and ligaments pain. They become stiff and inflamed. Oftentimes, bones within the spine may fuse together resulting in a loss of flexibility. It’s also possible for other joints such as the shoulders, knees, hips and ankles also to be affected. How serious is Ankylosing spondylitis? Ankylosing spondylitis is not typically associated with a higher mortality rate compared to a healthy population sample. However, there is a strong correlation between those with the condition and an increased risk of heart attack by 35% and a risk of dying from a stroke by 60% if left untreated. 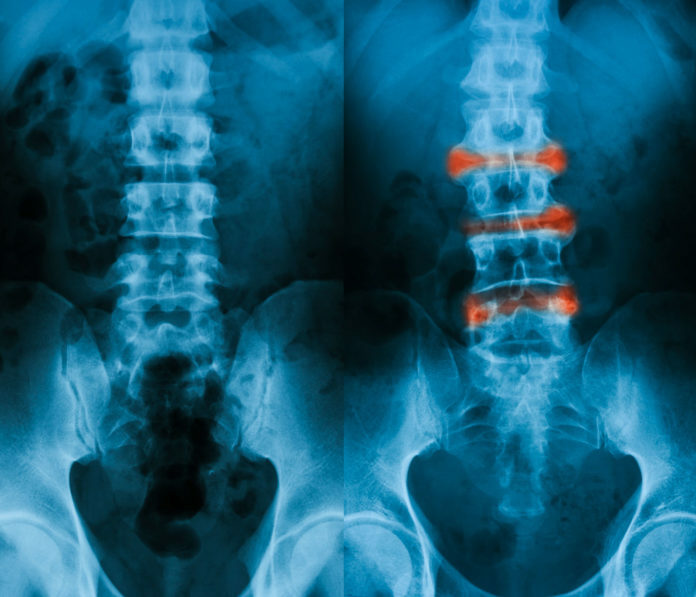 Generally, symptoms of Ankylosing spondylitis involve moderate to severe pain including redness, swelling and discomfort in the spine or along the bones in the lower back. Symptoms vary on a case-by-case basis. Some people simply experience a periodic mild back pain while others may have severe, chronic pain. In the most advanced cases, increased swelling leads to the fusion of two or more bones along the spine which can create respiratory problems. Ankylosing spondylitis may sometimes affect other parts of your body including your respiratory and digestive systems. If you are suffering from other health issues, be sure to notify your doctor as they may be related. Who does Ankylosing spondylitis most commonly affect? Ankylosing spondylitis most commonly develops in adolescence or early adulthood. Men are twice as likely as women to develop the condition. Family history is one of the most significant determining factors as the gene is passed down hereditarily. Doctors typically diagnose the condition via blood tests along with x-rays and other imaging tests. A physical test can also determine and demonstrate common symptoms such as a lack of joint mobility. Unfortunately, there is no cure for Ankylosing spondylitis. There are many effective treatment options that stall the progression of the disease and manage symptoms though. Your doctor will likely recommend some combination of the diet, exercise, and medicine. In more serious cases, surgery may be necessary to repair joints. For those with a family history of Ankylosing spondylitis even if it hasn’t been diagnosed, exercise is an essential way to prevent/mitigate the onset of the early stages of the disease. The goal should be to focus on exercises that increase your flexibility and muscle strength. If you already suffer from the condition, be sure to consult with your doctor to help determine the best exercise regimen for you. It may be necessary for you to begin a physical therapy program first to help build your strength and flexibility initially.